Imagine having your own personal skincare and beauty consultant 24/7. Spanish startup Lesielle is disrupting the beauty sector by offering customized products that can be tweaked according to the changing needs of individual customers. 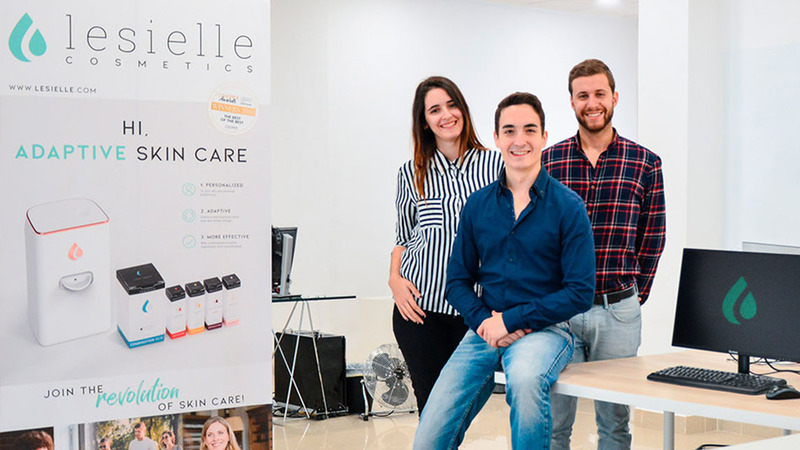 Founded by industrial pharmacist Rubén Rubiales Vázquez in 2016, Lesielle is gearing to tap the lucrative cosmetics industry that is expected to grow to US$805.6 billion by 2023 at an annual CAGR of 7.14% from US$532.4 billion in 2017. Demand for specialist skincare products, in particular, will also surge with the growth of aging populations worldwide. Skincare is forecast to remain the most profitable product category in the cosmetics market with a global market worth US$177.15 billion by 2024. It's also one of the most prominent sectors where nanotechnology is being introduced to create new beauty products and anti-aging formulas to increase sales in a highly competitive business. Consumers are also becoming more aware of the advantages of different products through social media, vloggers and other brand influencers. The development of more sustainable and organic personal care products will continue to be the focus for major brands worldwide. Sales are also expected to reach US$14.9 billion by 2021 due to the rapid growth of e-commerce distribution channels and expanding markets in Asia-Pacific, the Middle East and Africa. Rubiales, who is also CEO of Lesielle, discusses the future of skincare in an exclusive interview with CompassList, shortly before the production of the company's first commercial proof batch of adaptive cosmetics in Jerez de la Frontera, Cádiz. This interview was conducted in Spanish and translated. It has been condensed and edited for clarity. Q. Can you tell us about your life before founding Lesielle?